We are Candace and Nicole from Crafty Sisters! 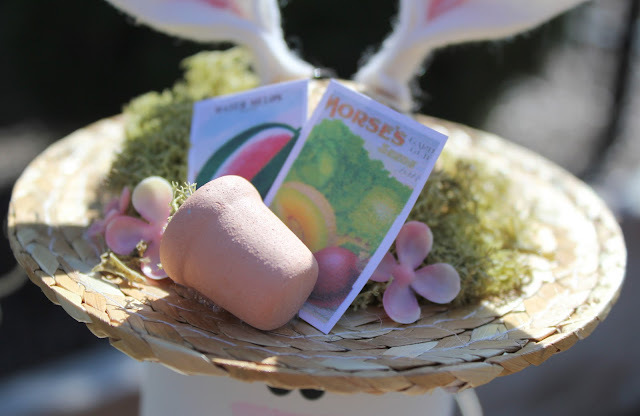 We are so excited to join in this month making Krystal's cute Easter craft! 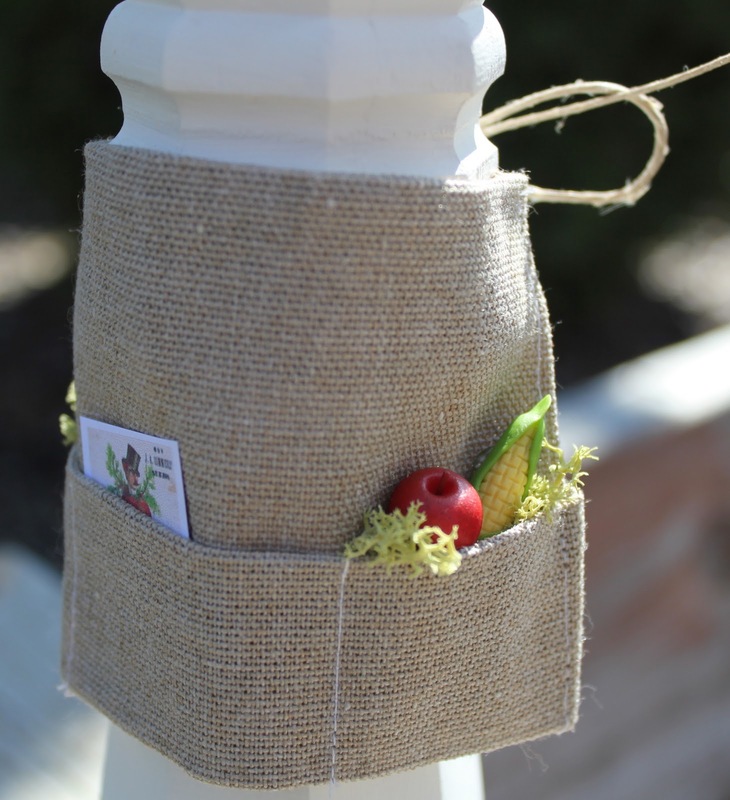 It's so much fun creating with Wood You Like To Craft and we enjoy seeing all the projects! We "chunkified" Krystal's version using 5 and 9 inch unfinished table legs, instead of candlesticks. 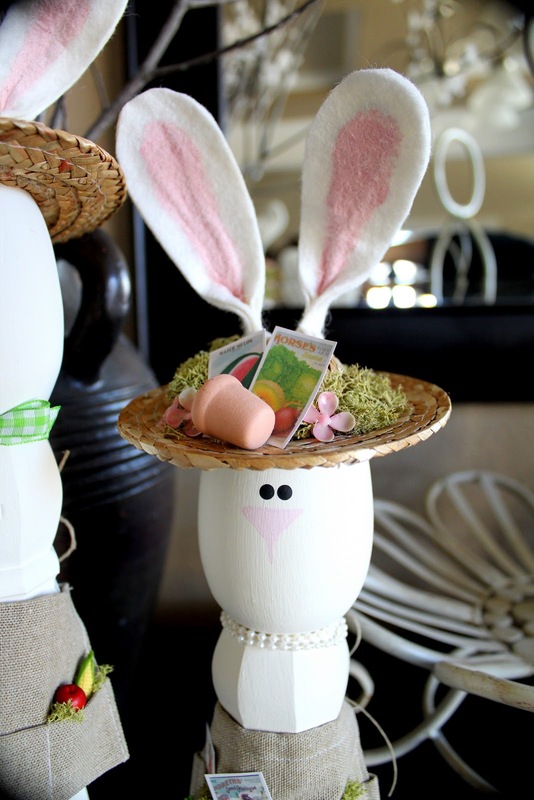 Then we added large wooden eggs from the craft store. 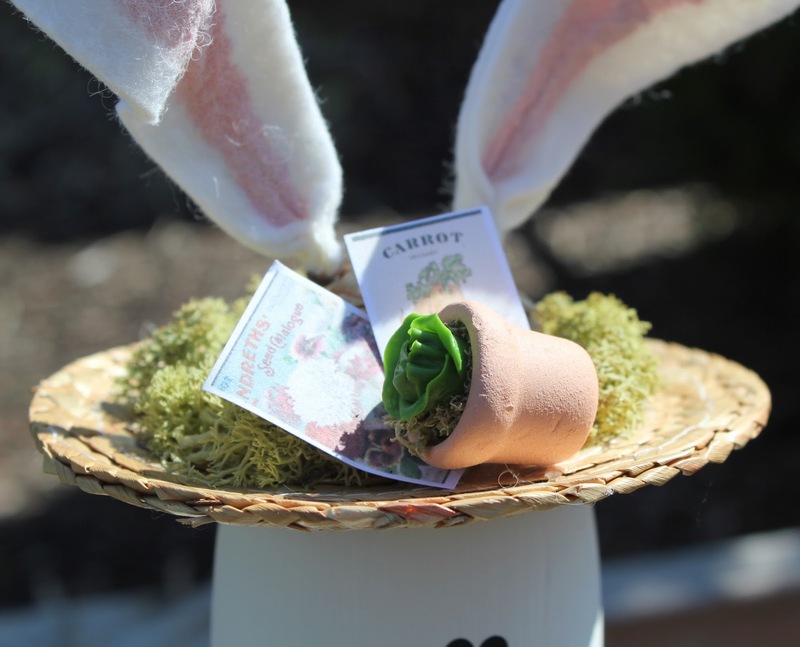 We used felt with a little craft paint to make rabbit ears. We cut two pieces of felt for each ear and added wire in the middle using hot glue, so we can bend them as we please. 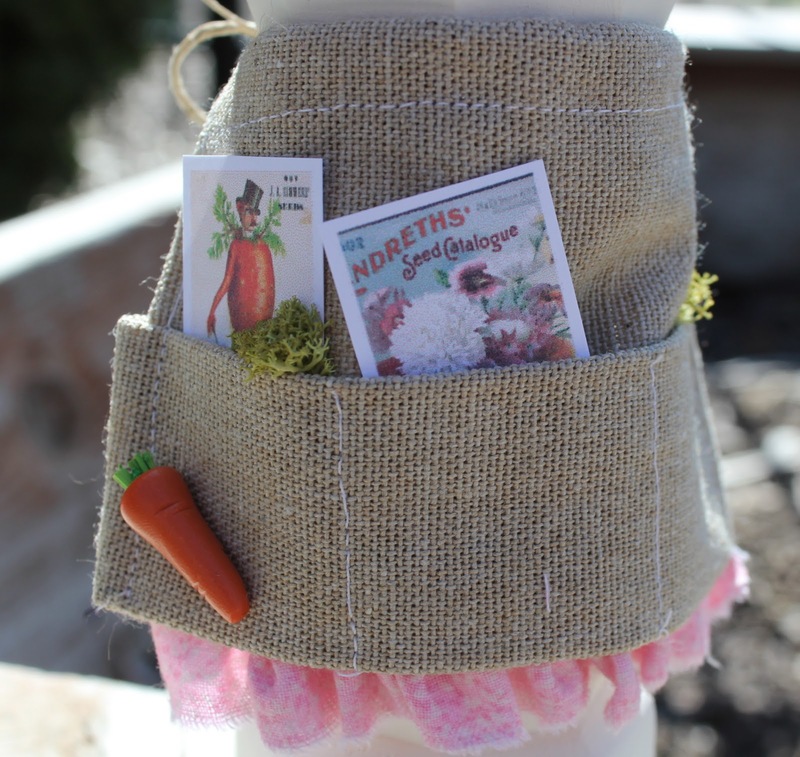 complete with vegetables, pots, miniature seed packets, and hats to top them off! Our rabbits needed some aprons to hold all of their supplies, so we sewed two aprons made of cotton canvas fabric. We finished the girl bunny apron off with a pink ruffle. We also added a few pieces of reindeer moss to the hats and pockets. We found all of the miniature items at Hobby Lobby in their dollhouse section. There you go, our farmer rabbits! Thanks Krystal for having us and passing along the great idea! We can't wait to see what everyone puts together! So totally cute! 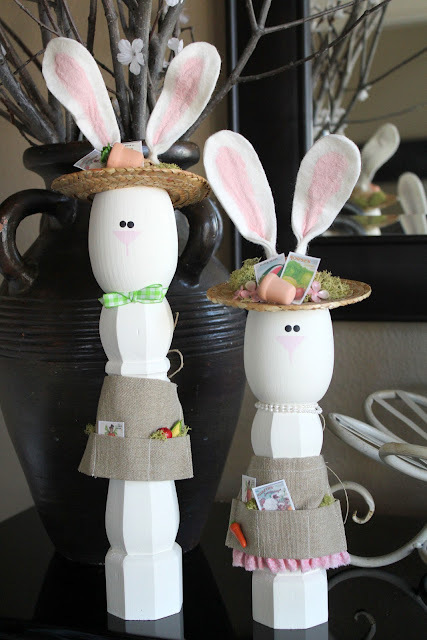 I love the little hats and aprons. Way to dress them up! And I think the fabric ears are such a cute and easy alternative to the wooden ears. Great job girls!